Weekly Happenings: Due to the weather (more about that later), we spent a lot of time indoors. 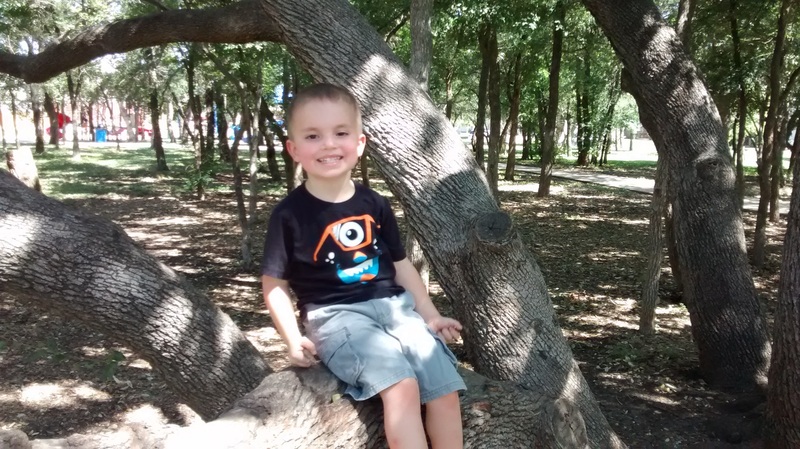 There was one day (Monday) where I took Joseph to the park in the morning, but other than that, we didn’t do much outside other than the times when we’d go from the AC of the house to the AC of the car to the AC of wherever it was that we were going. 🙂 Paul took Thursday off to finish up his final work for his semester, and Friday we had friends over for dinner and board games. 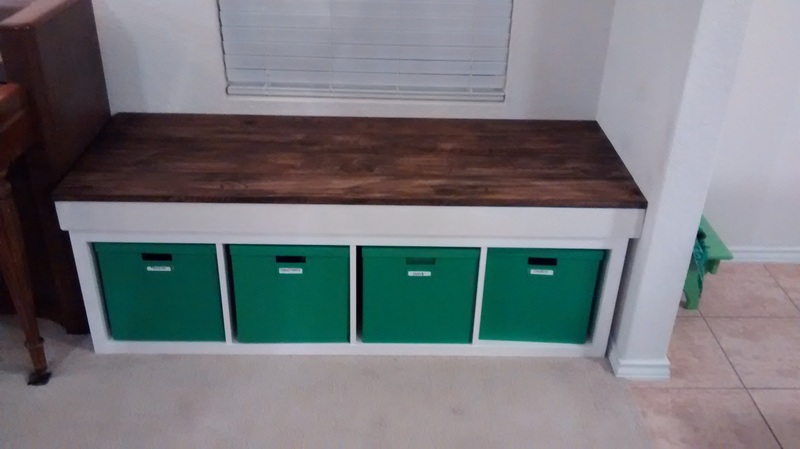 The majority of Saturday was spent at Lowe’s getting supplies to build a bench top for my music storage and then Paul put it all together. It looks fantastic (pictures to follow)! The Weekly Weather: It has finally turned into July (though we have yet to officially break 100* temperatures). The hardest thing about it is (and yes, I know I say this every time) that it DOESN’T COOL DOWN AT NIGHT. The other night it was still 91 degrees at 9:00. I delt with THAT madness by going out to get shakes for Paul and myself (Joseph was already in bed). Yet, I realize that we are lucky that it has waited this long to do this. It is almost the end of July, after all. What Paul’s Been Up To: He finished up his last semester of the Pathway program and is on break for about a month before his first semester of online classes start for BYU-I. 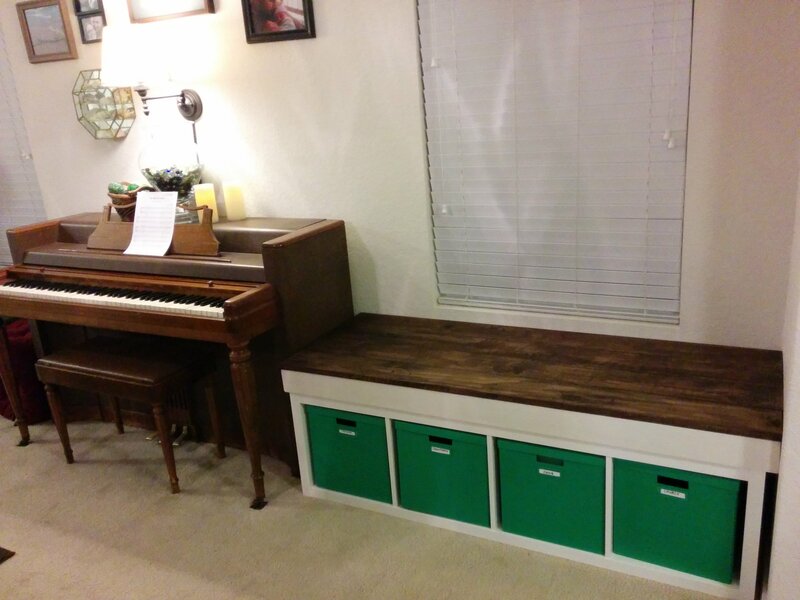 He celebrated his first Saturday free of homework by building me a bench top for my music storage bench. 😉 He also has been taking care of a lot of Sunday School things because he is currently the only member of the Sunday School presidency that is still in town. What Sarah’s Been Up To: I am plugging away with my students (one student played a piano piece as a special musical number today during Sacrament meeting…I am super proud of her). I’m also working away at choir stuff (and trying to improve my conducting skills) as well as getting ready to get visiting teaching stuff done since the end of the month is swiftly approaching. What Joseph’s Been Up To: His obsession with Legend of Zelda continues. 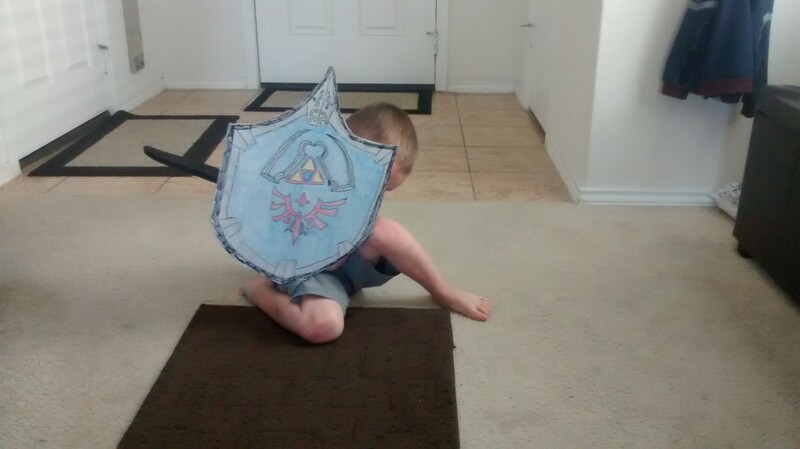 Much of each day is spent pretending that he is Link (equipped with his Ninja sword; now a Link sword, a shield I made him out of cardboard, and an bow/suction cup arrow set that was given to us by a fellow Pathway student who had heard how much Joseph liked Link). This, of course, means that I am Zelda and must be rescued multiple times a day. There was once he insisted that one of the bad guys was in the middle of the road and that we needed to hit him with the car, hahaha. 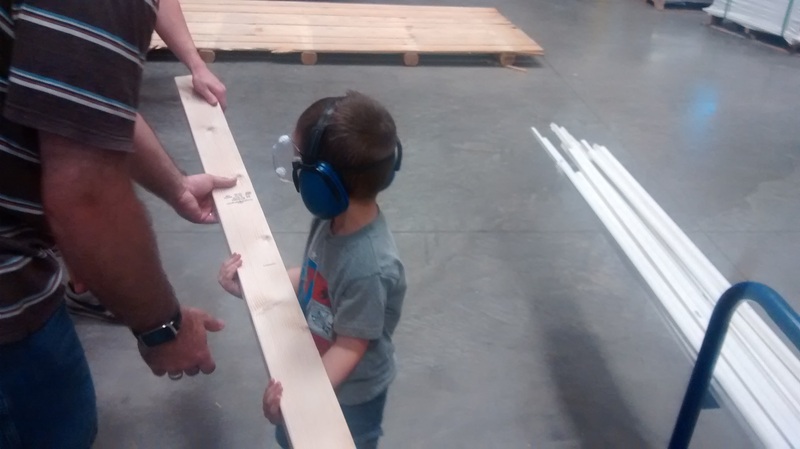 He really enjoyed himself yesterday while we were at Lowe’s getting supplies for the bench top because the employee that was working the wood cutter let Joseph wear protective goggles and hearing protection and even made sure Joseph got to help load the wood back into the cart. I’m not sure if he realized it at all, but that guy seriously made Joseph’s day, if not week. Hanging out at the park. 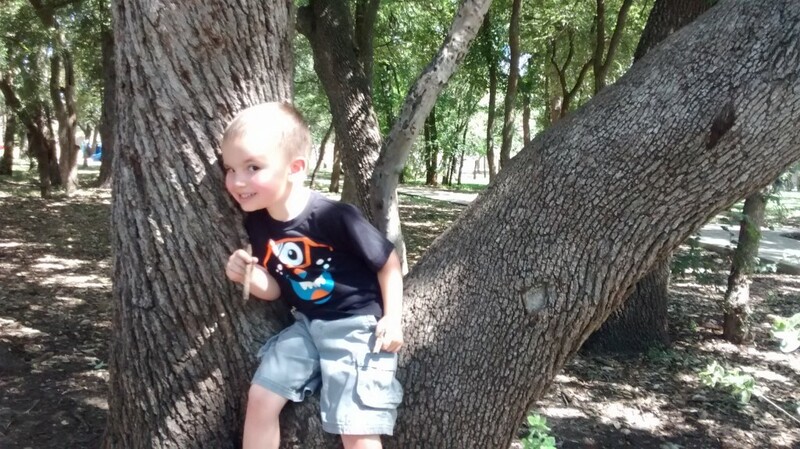 I love all the trees that are at the park! 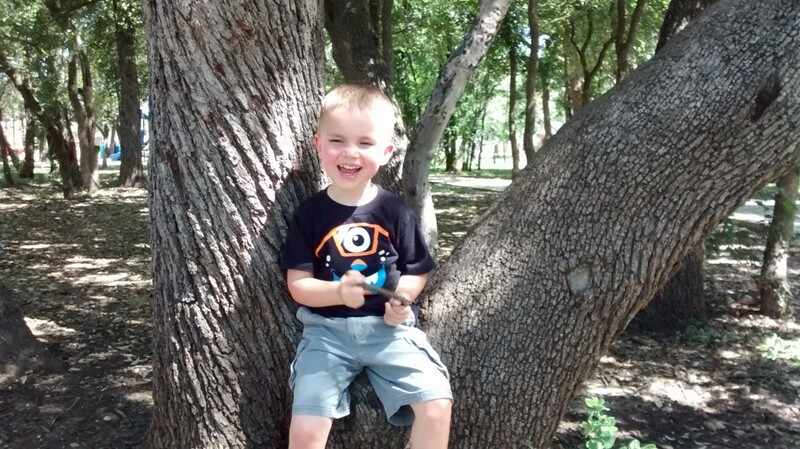 …in fact, every time we go to the park, he MUST straightaway find a stick (or two…or three) that can be used as weapons against imaginary foe. 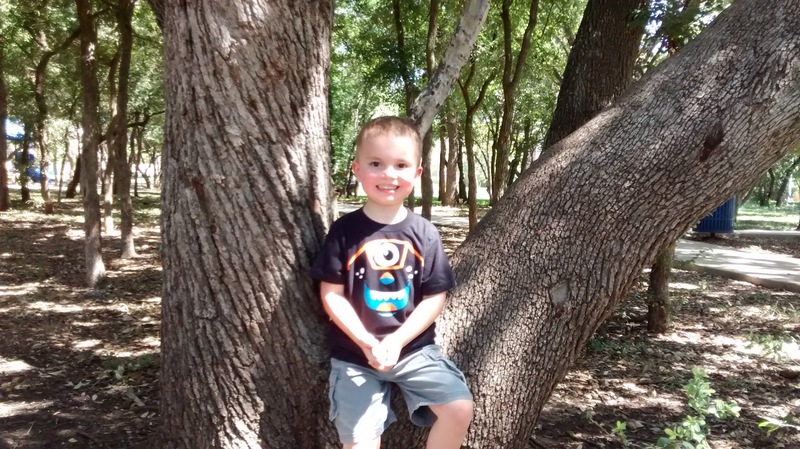 I sure love being this little boy’s momma! Hiding behind his new shield (I patterned it after Link’s shield in Legend of Zelda). 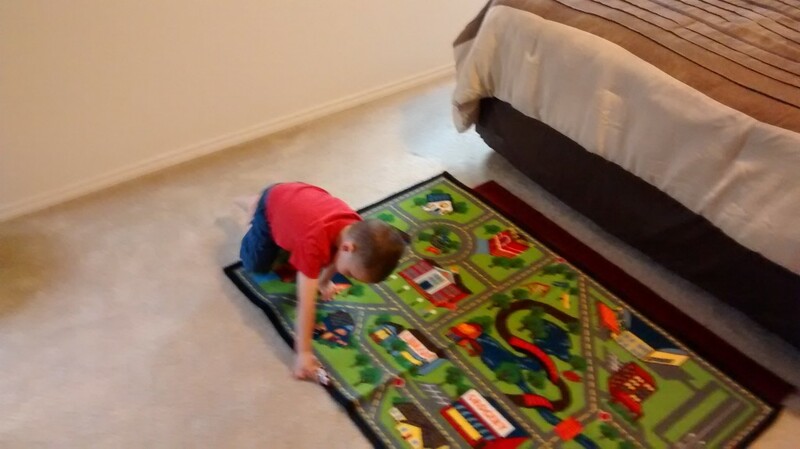 Paul was working on a final for his religion class and I needed to work out (while simultaneously keeping Joseph somewhere where it would still be possible for Paul to concentrate), so I brought Joseph’s car rug and cars into our room. It worked like a dream! 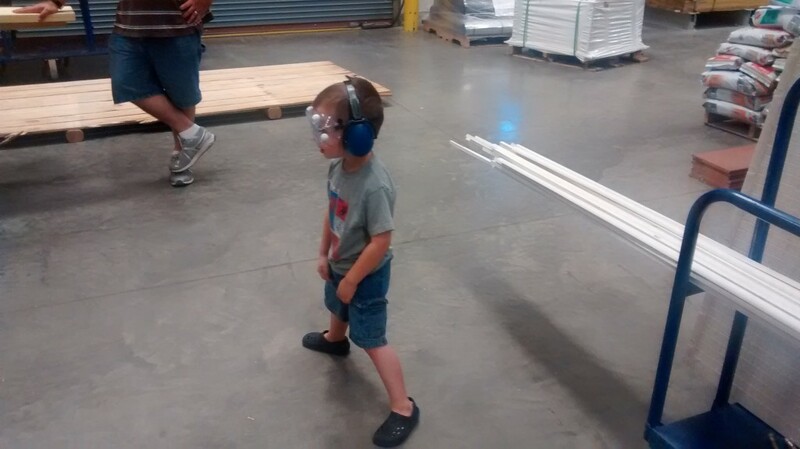 At Lowe’s, waiting for the employee to do the cuts on the wood. Helping to load the wood. Paul wrote up just how he assembled the bench. You can check it out on his blog.